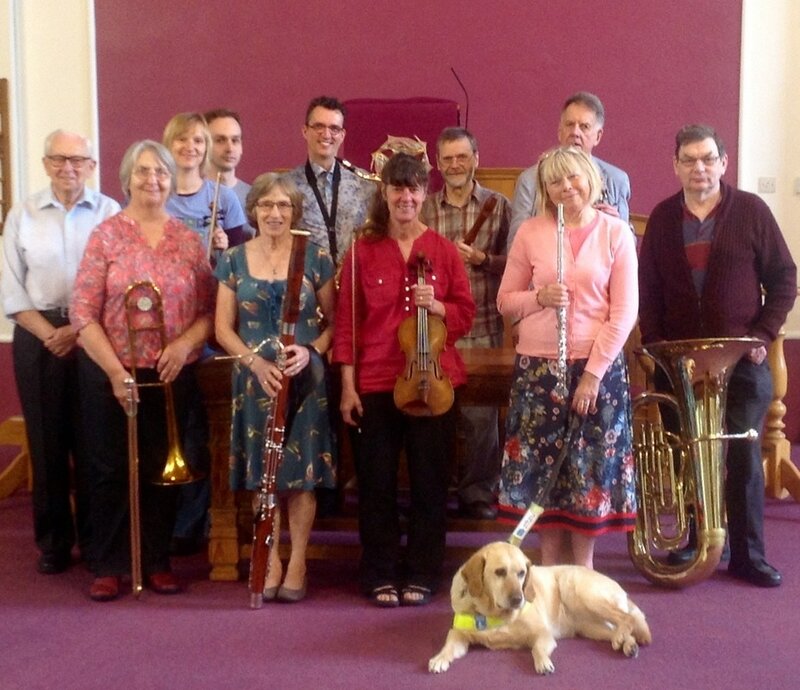 St George's United Reformed Church Band (SGURC Band) plays once a month for morning worship. 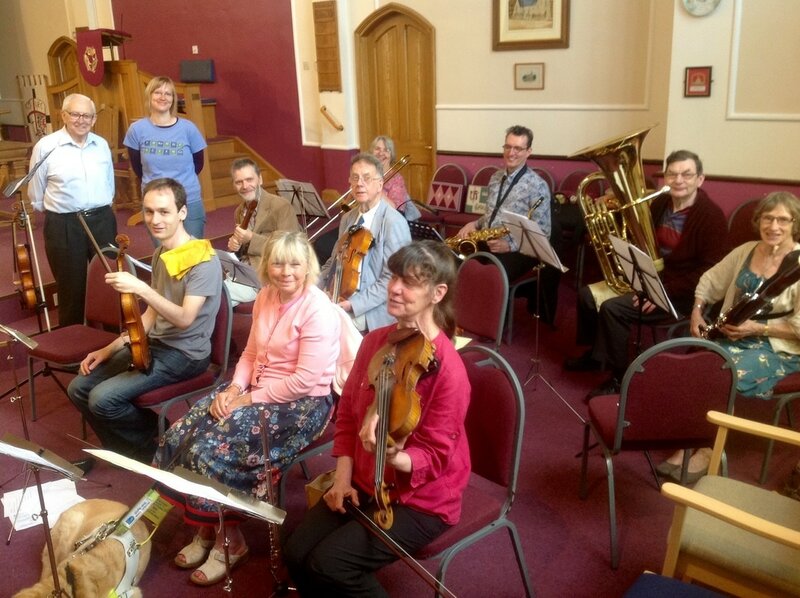 The Orchestra positively welcomes anyone who would like to play either regularly or for a single event, and who can read simple music (hymns). Music is provided for C and Bb instruments (and other transposing instruments if we are expecting them). We usually meet to practice for one hour before each service and we have a lunch together every year. For further information ﻿please ﻿contact SGURC band and orchestra coordinator and organiser﻿﻿, Shirley Forster. For further information on the orchestra and ceilidh band see the separate page. 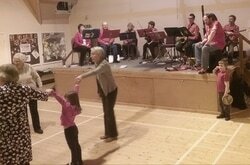 SGURC ceilidh band plays once a month for the Saturday evening Country dance club at St George’s and for similar church events at other churches. Please note that it is not available for commercial hire. SGURC small groups play for worship and special occasions at small rural churches on Sunday afternoons or evenings. The photos show us at Great Bavington and at Hauxley Methodist Church. SGURC All and Sundry Group involves actors and singers as well to put on occasional fundraising entertainments – lighthearted fun mixing concert and pantomime and food!! 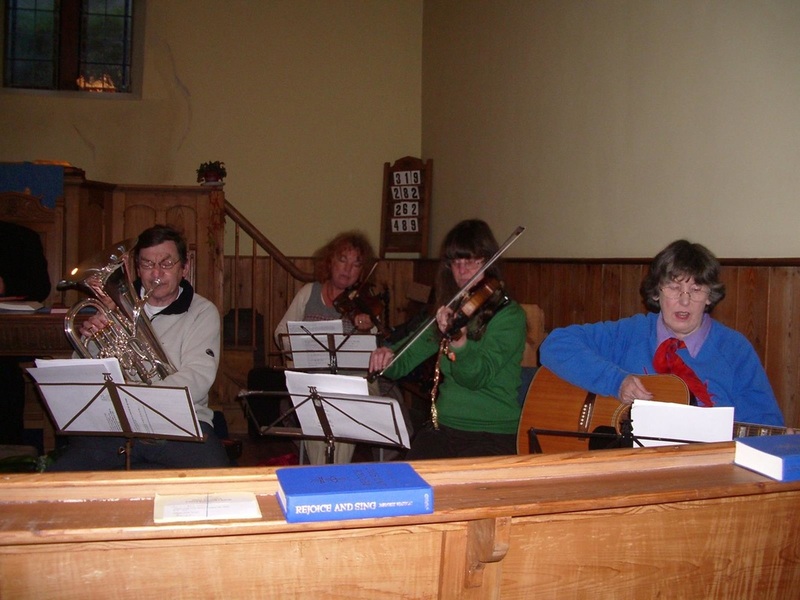 All these musical groups very much welcome anyone who would like to play either regularly or for a single event, and who can read simple music (hymns, folk tunes). Music is provided for C and Bb instruments (and other transposing instruments if we are expecting them) - We usually meet to practice for one hour before each event . There are about 20 of us , about 12 will play for Sundays and country dances, 4-6 at smaller events. 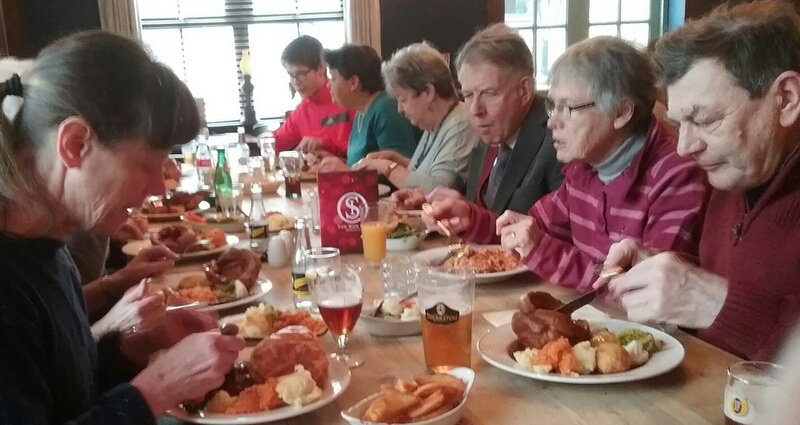 About half of us are St George’s members, about half friends who are of various faiths and none. 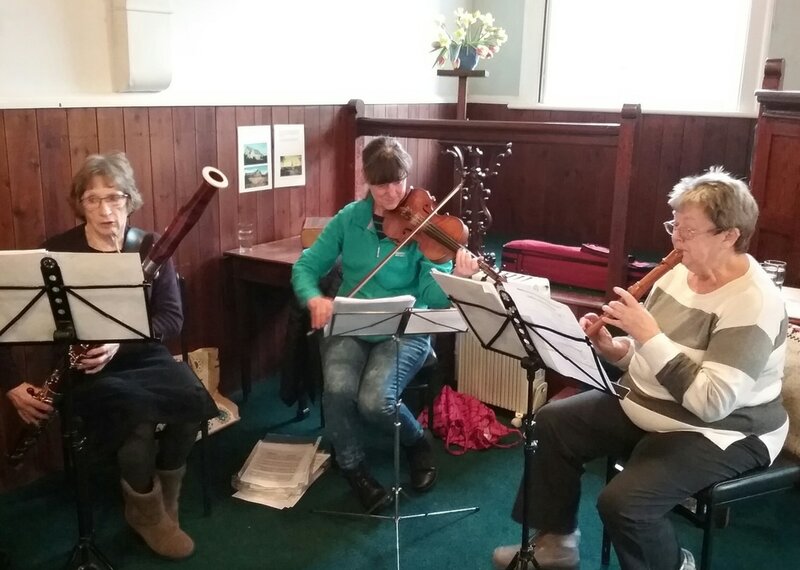 Some of us play for everything, some of us prefer ceilidhs to church services and vice versa. Some of us are skilled orchestral and folk players, some of us are adult beginners. We rope in yet more friends to sing and act, cook and support behind the scenes for entertainments. You can check what we have coming up in our playing diary on our website. Let me know if you are interested in joining in and I will email you reminders a few days before each events. 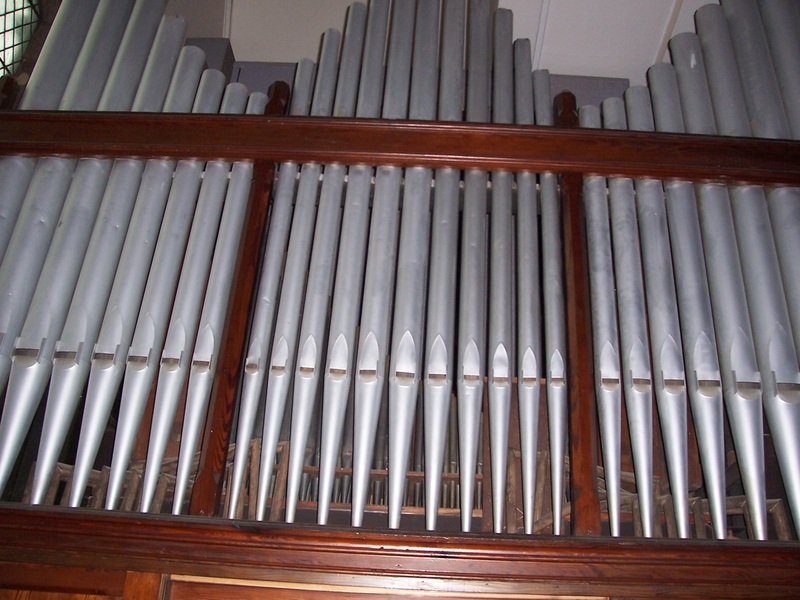 The organ at St George's is a two-manual wind instrument built by Harrison and Harrison. It was moved to its current site in 1963 and it maintained by Lightbowns. The Great has 8ft open diapaison, dulciana and clarabelle; 4ft flute and principal and 2ft octave, the swell has 8ft violone, lieblich flute, voix celeste, echo salicional and oboe (our one reed stop); there is also a 4ft principal and 16ft bourdon. The pedal is 2½ octaves and has 16ft bourdon and open diapaison. There are three couplers - swell to great, swell to pedal and great to pedal. There is a also swell pedal and three presets.